Last night, I wanted a quick dinner that wouldn’t be over the top filling and pretty easy to execute because I was heading out to the Jesus and Mary Chain show later. 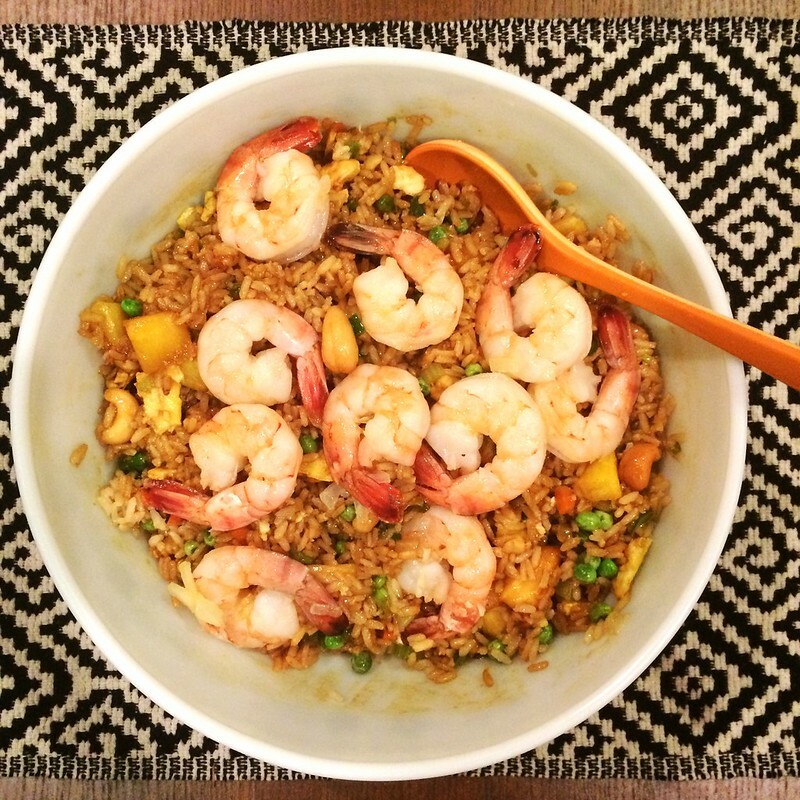 Enter this shrimp and pineapple fried rice. I did a few mods–I sauteed the onion and garlic, then added raw shrimp and cooked them in all that delicious garlic flavor. Then, I removed the shrimp from the pan and added finely diced carrot, celery, and jalapeno for a little kick. The rest, was as required by the recipe; I think the additional veggies really impressed the dish with more flavor. And who doesn’t love pineapple with jalapeno? Done. Definitely a weeknight keeper. 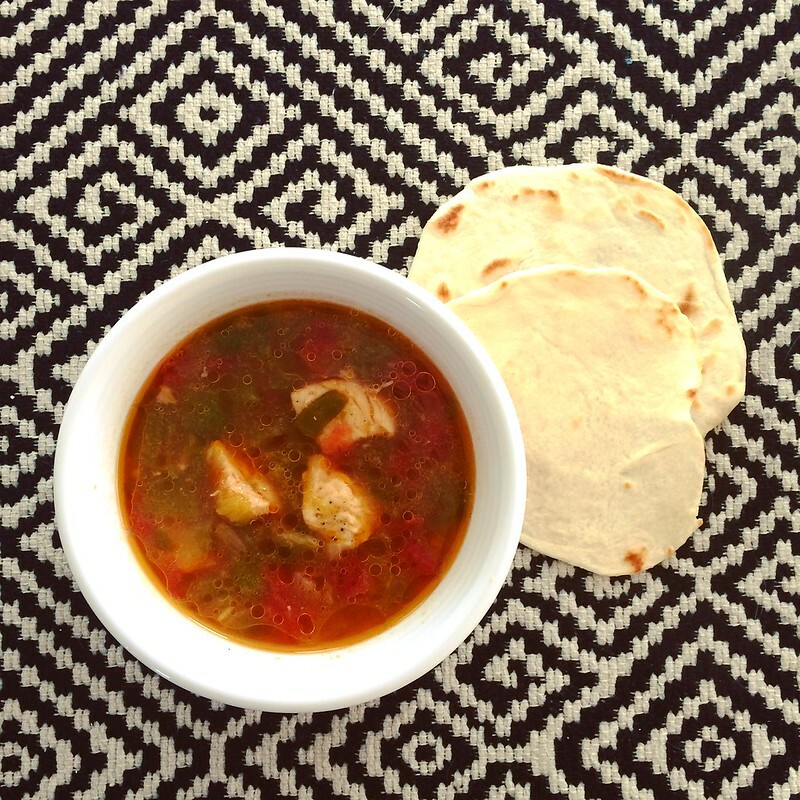 What are some of your go to weeknight meals? I’m always looking for inspiration. Last night, I noticed the doc wearing the very first pair of socks I ever knit for him–back in 2012. It was a small moment that reminded me my hand knits are appreciated. They are also a nice window into my knitting proclivities of the time–what fibers did I like? What colors? During this time, I also knit most of my socks with a funny, red athletic toe line, like I’ve seen on countless commercial socks. It acts as a living history of my making. These socks were a combination of wool and bamboo and I quite like the way they feel against skin. Perhaps I should make another pair? This is the first wool purchase I have made in a year. The reason I decided to stop buying yarn was because my stash was really large and I had this really lofty goal of saving money and purchasing a home in 2015. And guess what? I didn’t purchase yarn, and I bought my first house. So, in honor of sticking to a really important and personal goal, I marked the one year non-yarn-buying-versary by purchasing the specified amount to knit a really adorable dahlia horse hat called Karusellen by Erica-Knits and featured in this month’s Pom Pom Quarterly. 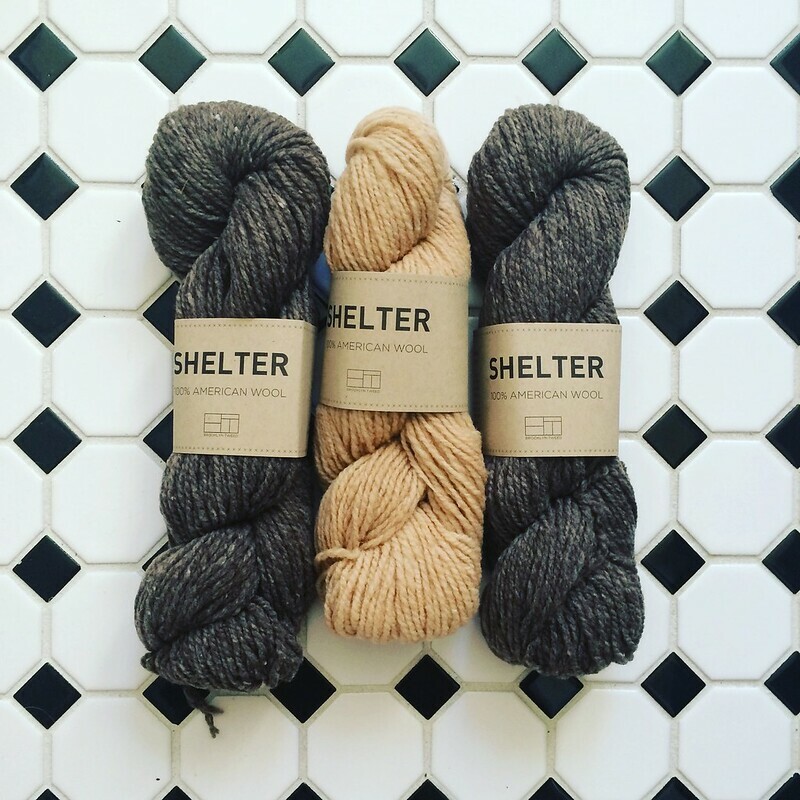 It’s three skeins of Brooklyn Tweed Shelter–nest for the main color, tallow (a new BT edition) for the color work. It’s such a quick knit; in one day, I finished the ribbing and color work portion and I’m not onto shaping the crown. Comfort foods are in, kids. 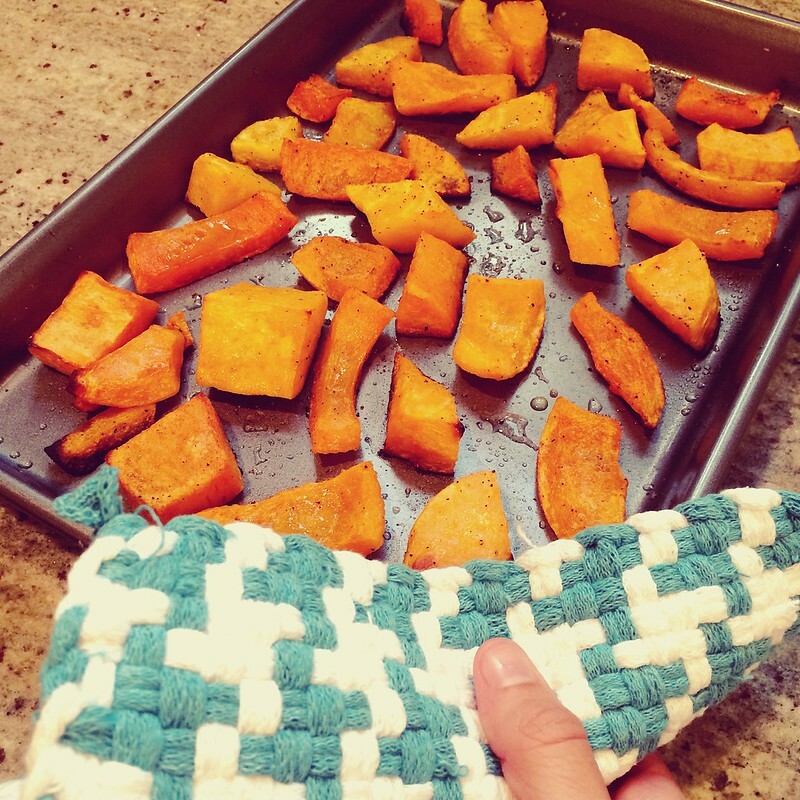 Like roasted butternut squash–simple, with olive oil, pepper, and salt. 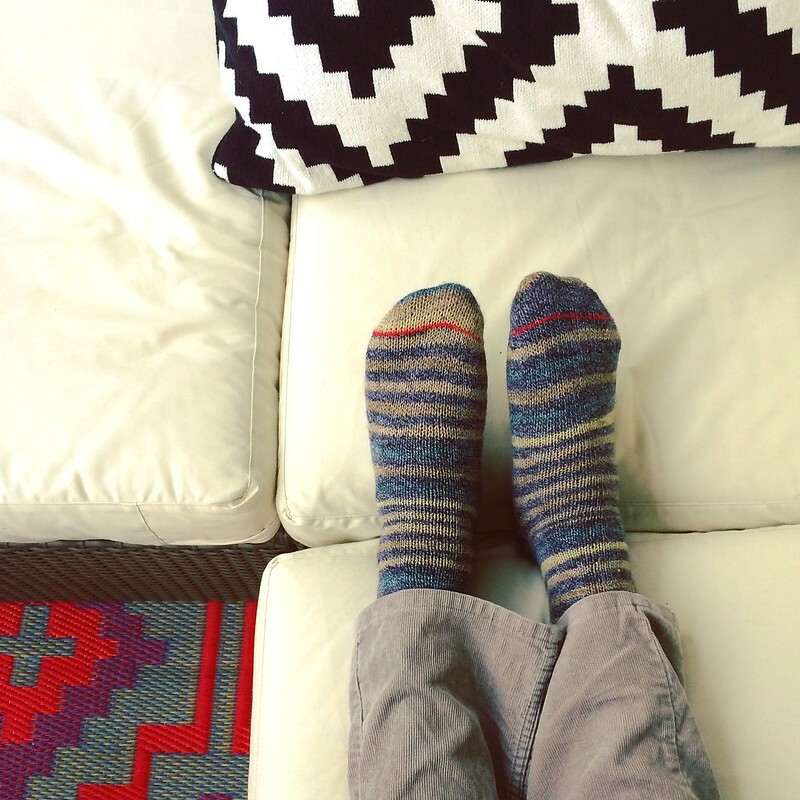 I really do love the final result of these socks made for Sean in the ever-loving but always sought after Knit Picks Felici self striping sock, which only comes around every so often. 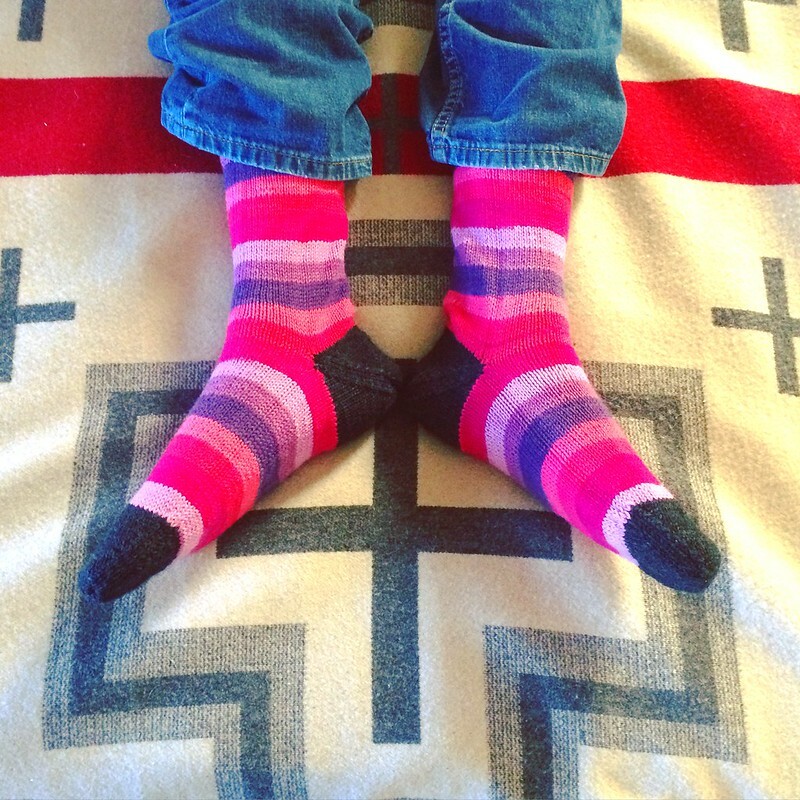 These simple after-thought heel socks are Sean’s favorite because I’ve really got the formula down for what fits his feet, and now that he’s living here and not in the desert, he has many more opportunities to rock wool socks. Quite frankly, I don’t know how–besides on camping trips–he ever trotted around central Phoenix in wool. But, color me crazy. Fall has reinvigorated my desire for knitting. I took the summer off. I think it’s because I had a lot on my plate–moving into my first house, helping Sean drive his possessions cross country, and just needing a break from making. I think if you aren’t feeling passionate for the work, why do it? Respond to your desire for breaks; it doesn’t mean you won’t get back to it. And now that there’s a nip in the air and I’m settled into my house and most of my items are in the places I hope they reside for the next several years, I’m back at my stash and looking to make. Prepare to see more of it, and often, in this space. From knitting and crochet, to cross stitch, and what’s churning around my spoon in the kitchen, I’m really back in the making game. What are you making, knitting, right now? The other night, I made some pretty bang up fish tacos. I grilled off some fresh wild caught local sole, which I marinated in olive oil, lime juice, cayenne pepper, and some cumin. The tacos were topped with pickled red onions in lime juice, bibb lettuce, cucumber, and a homemade lime crema. The crema was sour cream, lime juice, cilantro, and cayenne pepper, all mixed and left to marinate for a few hours. 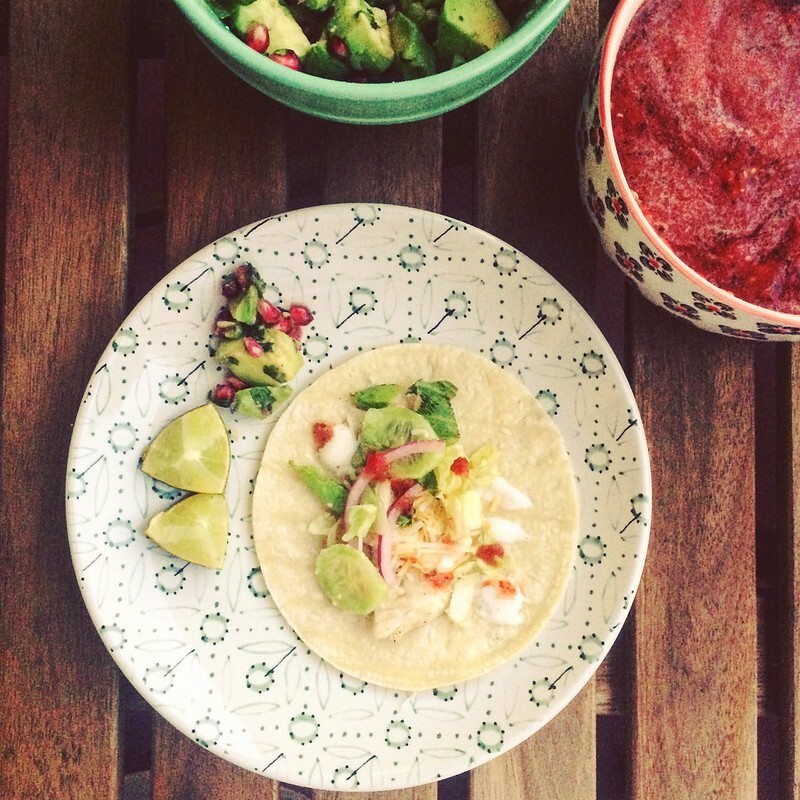 Drizzle on top and make homemade guac and salsa. This time, I tried my hand at pomegranate guac and a blender salsa. Both were a hit. 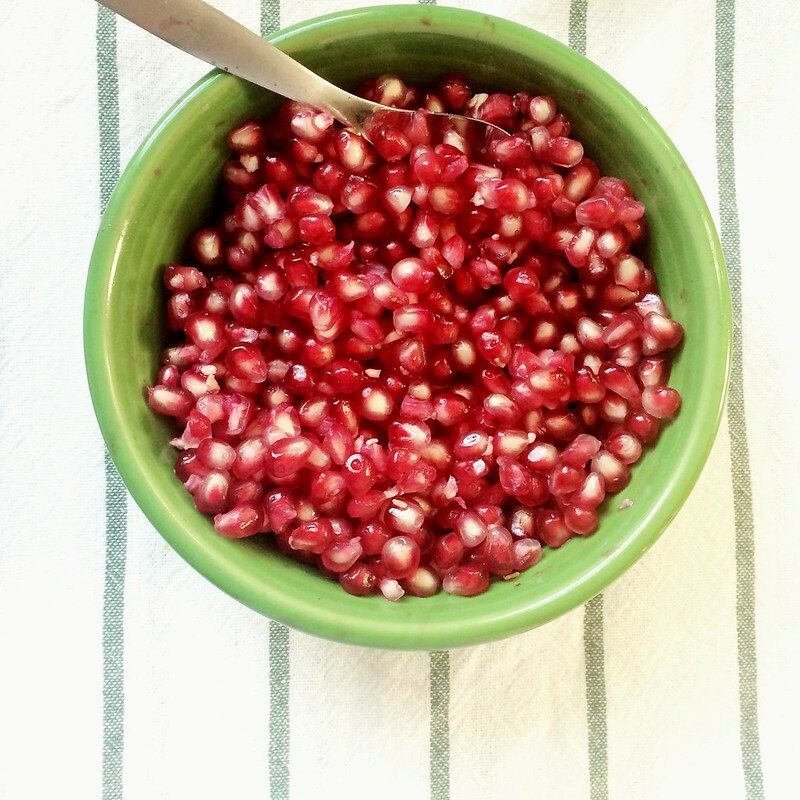 It’s finally pomegranate season. These ones went into a delicious guac I made with fresh cilantro, red onion, lime juice, and of course, pomegranate seeds and avocado. How do you eat your seeds? 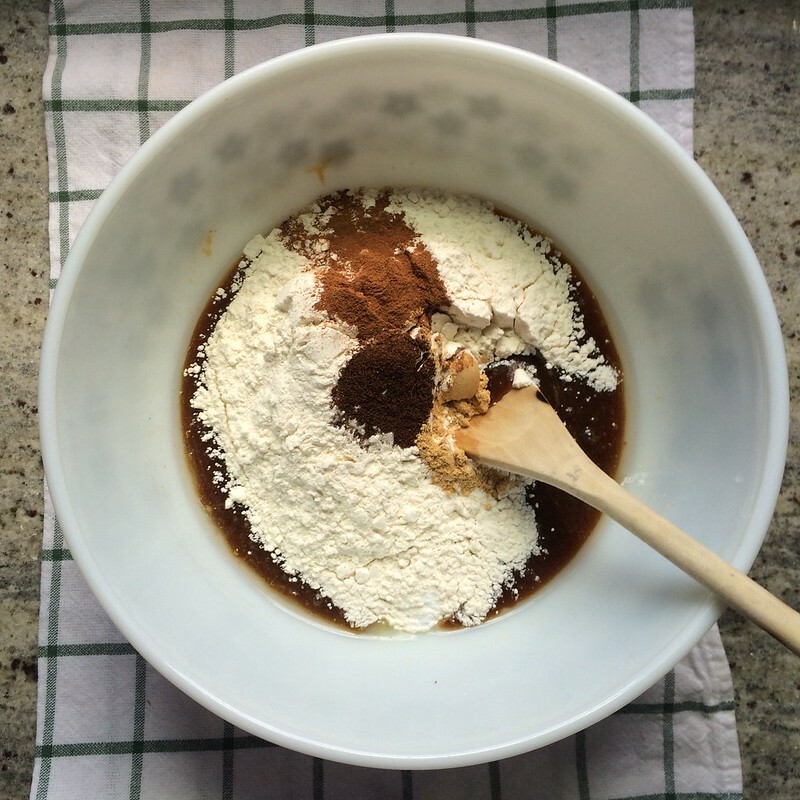 It’s that time of season–when I whip out the ginger, and cloves, and cinnamon, and make dream cookies with them. I’m feeling fall finally…are you? Ginger snaps — yes, please. Have I mentioned how amazing it is to cook in my new kitchen? And how much sunlight there is! 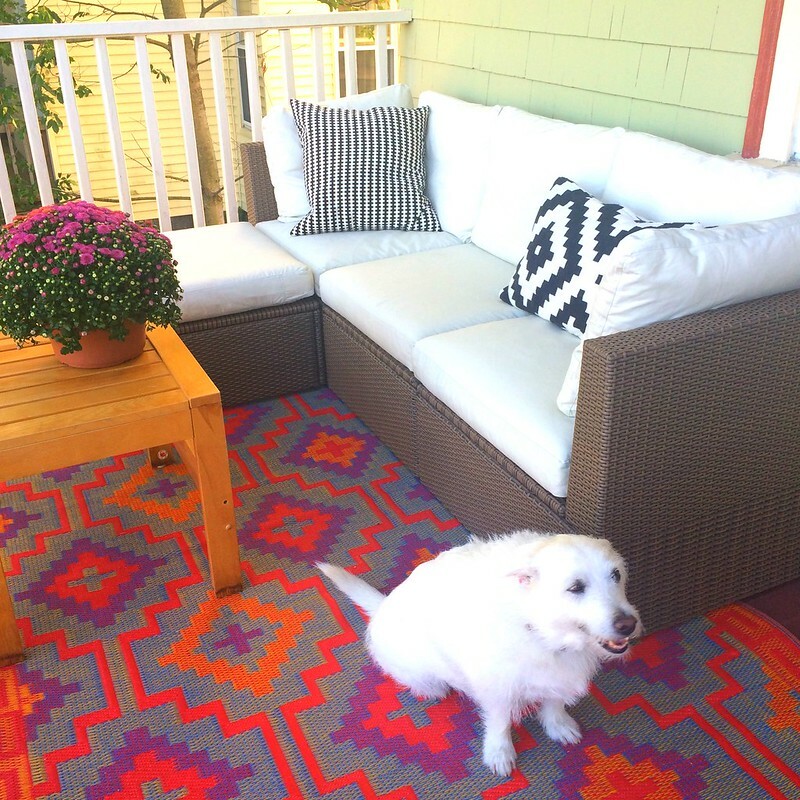 I’m living in a sun drenched world….at least, when I’m home, that is. This was, by far, one of the best dips I’ve made in awhile. Cream cheese, sharp cheddar, jumbo lump crab meat, hot sauce, scallions, and roasted red peppers. 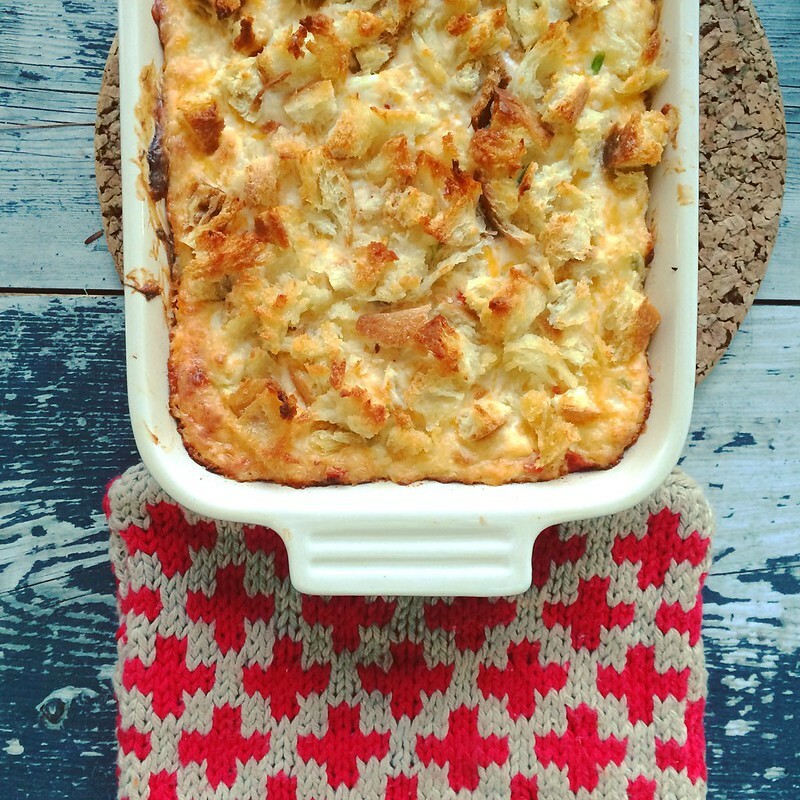 All topped off with delicious ripped pieces of crusty bread and baked in the oven until bubbly. Serve with mini toasts, pita chips, or any kind of cracker. And of course, a cold beer. You won’t regret it. Sean gifted me these amazing bronze piggy book ends last year for Christmas. 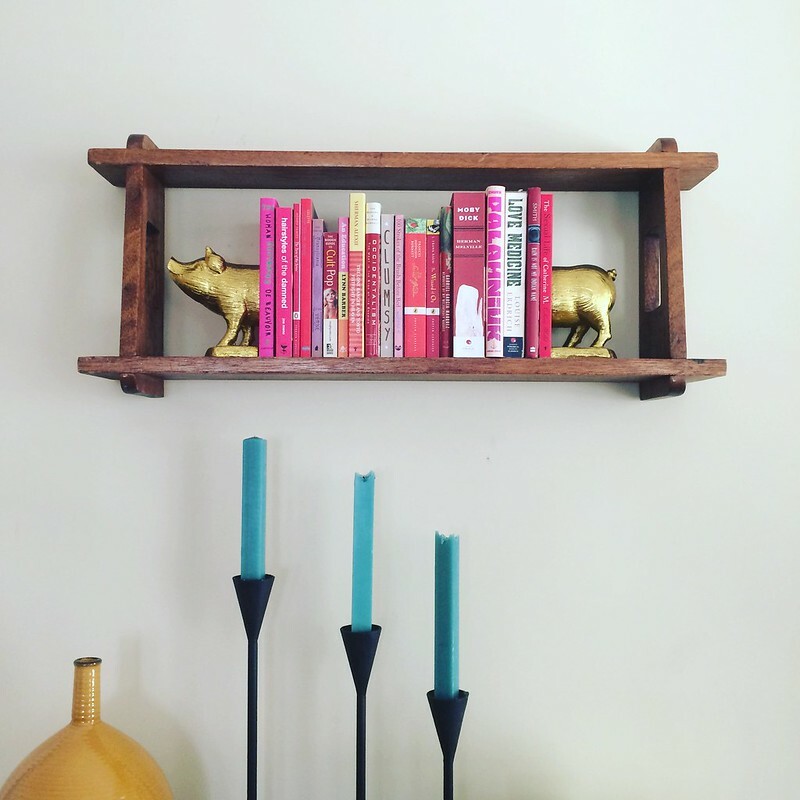 We finally hung the mid century modern wood shelf my mum found us while she was antiquing. Perfect spot to show off these oinks? I think so.